We can’t believe it’s already end of November…before you know it, it will be time to trim the tree and sneak in some last minute holiday gift shopping. This year, we’ll be putting an eco-friendly twist on the gifts we give friends and family. Below are some of our favourite eco-friendly holiday gift finds for the season. Based in the USA, Green Toys manufactures a range of plastic kids’ toys made from recycled milk jugs. While we usually like to limit the amount of plastic that comes into our home, we do appreciate that these toys are made from recycled materials along with food safe, mineral-based colouring. The company’s packaging is also made from 100% recyclable cardboard and minimal colouring using soy inks. You can also find an international store locator here. Based in Paris and made in Portugal, Good Guys creates stylish, cruelty-free vegan shoes for men and women using materials such as microfibre, canvas and natural rubber. The high-quality shoes are not only light and waterproof, but also completely comfortable – and look good too! In 2014 and 2015 the brand received PETA awards for “Best Men Shoes” and “Vegan Brand To Keep An Eye On In 2015” as well as the “PETA Approved Vegan” label. You can find the footwear stocked at boutiques around the world and online at http://goodguys.bigcartel.com. Men’s shoes start around at €125 and women’s ankle boots start at €110. When selecting a bottle of wine to take to a holiday party, consider looking for organic or, even better, biodynamic wine which is produced using a specific agricultural method where the landscape the grapes are grown in is seen as a complex, intertwined eco system. With this in mind, the growers try to create self-sufficient ecosystems farming with respect to the sun and moon cycles. Biodynamic wine is becoming more popular so try asking your local wine shop on what offers they have available. A toothbrush doesn’t sound like a very exciting gift however we’re thinking they’ll be great for little stocking stuffers. Based in Australia, The Environmental Toothbrush produces toothbrushes made from biodegradable bamboo handles and BPA free bristles. While they’re not 100% biodegradable or recyclable, they’re much more eco-friendly than typical plastic toothbrushes in plastic packaging and 12 toothbrushes are just $36.00 which is close to what you would be paying with standard toothbrushes. Not only is Babysoy’s collection of newborn clothing super cute but supper good for the environment – and your little one – as well. Babysoy is the first company in the world to create baby clothes out of eco-friendly soybean protein fiber made from leftover pulp from soy products, such as tofu or soy milk. The brand’s basic onesie starts at $12.00. These handmade, all-natural soaps don’t contain any preservatives, synthetics or parabens that you normally find in mass manufactured soaps and are packaged in paper embedded with wildflower seeds that can be planted. Additionally, 20% of proceeds from each purchase go toward funding immediate needs including vitamins, vaccines and soap, to villagers in need in Kaberamaido, Uganda. Try their top selling “Starry Night” soap bar with activated charcoal for $9.99. No surprise here, our Wax Wraps make are list a long-lasting, alternative to plastic wrap – plus they’re much more pretty to look at! The Beeginner Set of a small, medium and large Wax Wrap is a great way to introduce your friends and family to using beeswax wraps instead of plastic wrap. 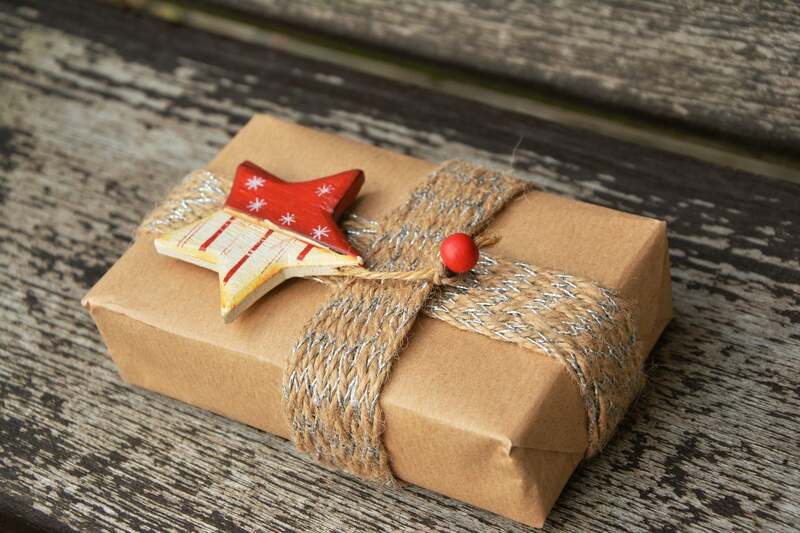 What eco-friendly holiday gifts will you be giving this year?